Here’s something a little bit different for you today, a middle-grade author! I’ve know C. Lee for a long time through our blogs, so it’s great to have her here today to celebrate the launch of her new book. It’s great to be here today. Thank you for giving me a chance to talk about this new book.When you offered to lend a hand, you mentioned that your readers weren’t likely to be my audience for this one since it’s written for the middle-grade reader. So I thought I’d tell about the night a bookseller gave a presentation to a group of rather senior citizens and brought picture books along with others for her talk. She began with a story about an overheard conversation in her bookstore. It was a father telling his daughter to put that picture book away; she was older now and should be reading more advanced books. Then the bookseller, held up a picture book and began to read aloud. I admit, she was a great reader, and I along with the rest of the audience, fell into the story. When she came to almost the end, she said, “Well, you get the idea,” and closed the book. There was a collective “No!” that came from the entire audience. We wanted to hear what happened to that goose! She’d made her point. If it’s a good story, it will capture and hold your imagination no matter what age it was intended for. I write primarily in two categories of fiction: Young Adult and Middle Grade. While the booksellers put these on shelves designated for those age groups, my readers are often a lot older. One reviewer who has become a fan of my Young Adult (thank you ever so much) admits to being a sixty-year-old male. He has read and reviewed all of those books. My Middle Grade also has a middle aged audience. They tell me they pick up these little fantasies for a quick, fun escape from their real world. Some read them to be sure they’re okay for their children. Some Very Messy Medieval Magic is book three in The Adventures of Pete and Weasel. 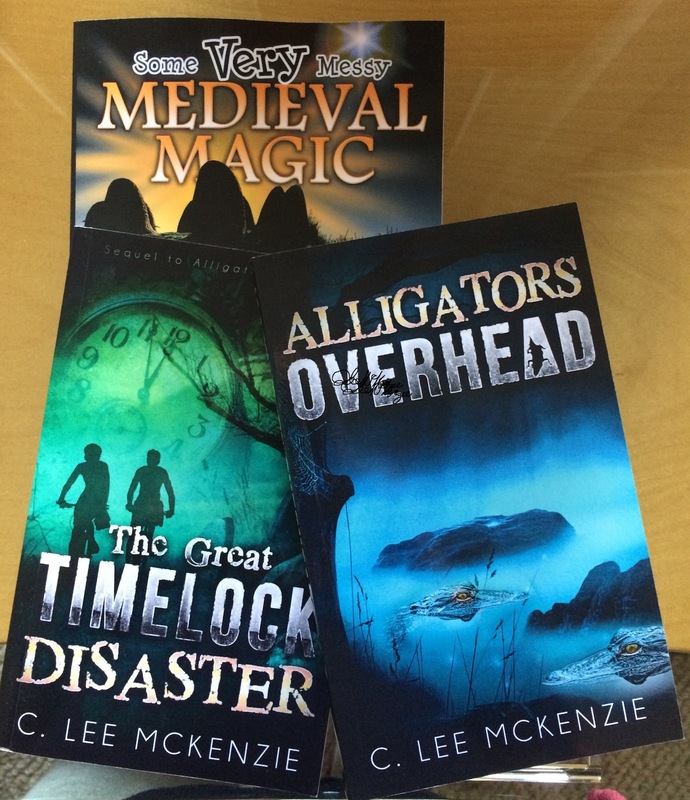 Alligators Overhead was the first in the series, and The Great Timelock Disaster was the second. Instead of my writing the overview, here’s the short trailer that gives you the idea of what happens to these two adventurers. All my books are available online. Some Very Messy Medieval Magic is available at these locations. Thank you again for the time and space on your blog, Annalisa. I loved popping over to your neck of woods for a chat.